The iForks are the first completely wireless scale forks for forklift trucks, reach trucks and narrow aisle trucks. Since all components are fully integrated in the forks, the iForks have no external cabling whatsoever and the weighing system can be installed onto any forklift truck in a matter of minutes: plug & weigh! From that moment on, every load lifted by the truck is instantly and accurately weighed. iForks 5000: (to a fork length of 1300 mm, 2 load cells per fork) 0-5000 in 5 kg steps (5-ton load cells). The iForks weight indicator in the cabin shows the weight of the load on the forks and offers a complete range of weighing functions: gross/net weighing, total weight per shipment, code entry, date/time registration, and piece counting. The indicator can provide weight data transfer to a printer, a data terminal, or directly to a WMS or ERP system, via RS232, Bluetooth or WiFi. The display is equipped with backlight, making it perfectly readable even in the darkest corners of a warehouse or production environment. 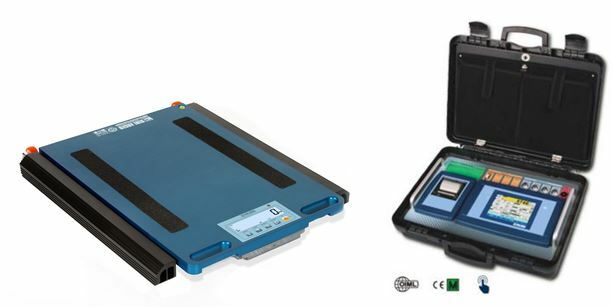 iForks offers Digital Calibration Technology: via the keys of the indicator the scale can be digitally adjusted, quickly and accurately.